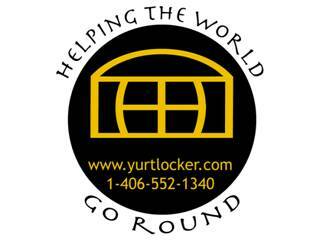 YurtLocker sells a fully insulated yurt, (frame and covers) for less than “the Big Guys” sell their un-insulated yurts. Hot, cold or moderate climate, insulation makes a big difference in comfort. There are other differences, but do your own research, and feel free to let us know what you think. Our yurts are from a traditional yurt-living part of China where many people spend their entire lifetime in a yurt. Our factory has built yurts since 1977 with good workmanship and materials. Their customers are their neighbors, and they get fast, reliable feedback. I have been many times to the factory, and I have visited yurt villages with the factory guys. They all know each other well and proudly show their yurts. How do YurtLocker yurts compare to the Big Guys’ yurts? They are a little different. For one thing, the design is a Kazak style. The Kazaks are from the central steppes of Asian, think Kazakhstan. You can decide if a YurtLocker yurt is suitable for you. (See the Photos page). YurtLocker yurts have a steel frame. This is both an advantage for most and a disadvantage for others. The roof and sidewalls have a multi-layer polyester felt insulation, and use a polyester silicon-organic canvas cover. We charge less for our complete yurts than just a frame and basic un-insulated cover from the Big Guys. In our personal experience YurtLocker yurts are comfortable at 91f (33c) degrees, and also comfortable with a small woodstove when it was -18f (-28c) degrees, (a model 40m2, see Photo section). YurtLocker is not planning to put the Big Guys like Pacific and Colorado out of business, LOL. We doubt we will be a blip on their radar, but we at YurtLocker couldn’t afford a yurt from the Big Guys. This is not intended as a criticism of them; we know our fiscal limitations. They know what their product and tech support is worth to those who need it. Not everyone has the skill set, is confident in their abilities, and/or is interested in investing their sweat equity. We're looking for those who know the satisfaction of doing for themselves, or who feels comfortable without the expensive tech support of the Big Guys. Need tech support from YurtLocker? You will get it, but once you are set up it is so simple, you probably won't need us again. We want everyone to be happy in their yurt. Our product is so simply you won’t need us, but if you do, we are here for suggestions, parts and support. Let YurtLocker build your basic structure; you can make it unique. Speaking of unique, If you like/don't like the Kazak decorations on your yurt, they can be added or not added according to your preference . You can even have custom decorations of your design for an additional charge. YurtLocker warranty covers manufacturing errors, not the way you choose to use the yurt. Our yurts are not engineer certified, but they have been thoroughly field tested in a rough climate since 1977. We suggest & sell Prodex(R) reflective insulation for additional comfort.